Will Heat Affect New Laminate Doors? Laminate doors are one of the most durable, low-maintenance and affordable kitchen cabinet options on the market. They are made by using a solid door form and then covering it - using a multi-layered laminate material - with color or a mock-wood veneer. Once that's complete, our laminate cabinets get a serious high-grade finish. The combination of durable resins and a solid core make for a very life-resistant cabinet surface. 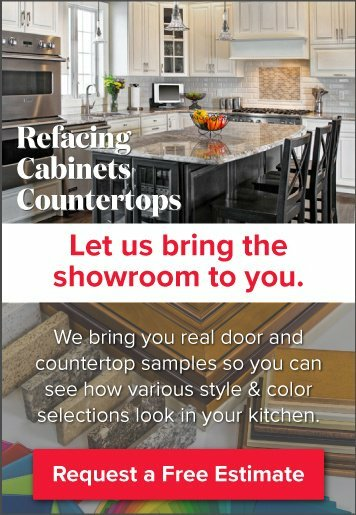 Unfortunately, due to their earlier incarnations and the cheap versions that persist via big box stores, laminate cabinet finishes have gotten a bit of a bad rap; the rumor is that laminate cabinets can't take heat, and therefore, they shouldn't be installed in the kitchen. 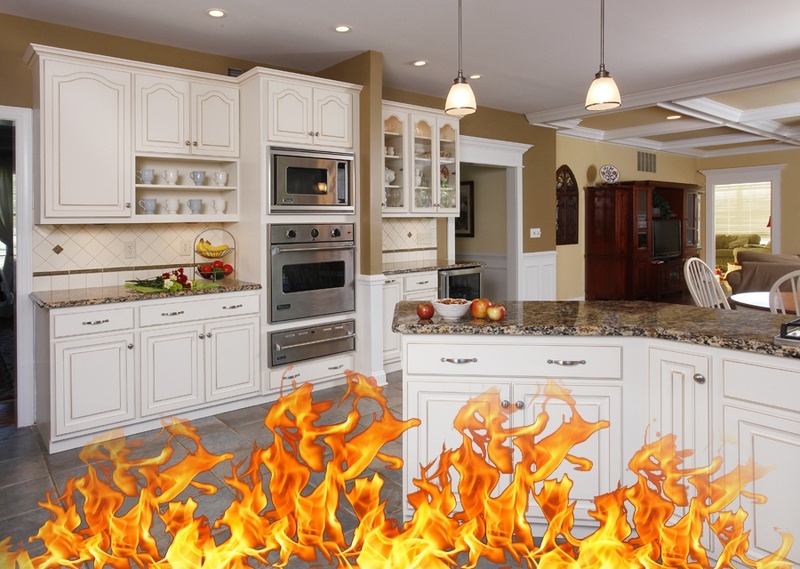 While laminate doors are not completely heat-proof, when they're high-quality and installed correctly by a professional kitchen contractor, your laminate cabinet veneers will do just fine - even around and above your oven and stove top. If you buy laminate cabinets from Kitchen Magic, and we perform the installation, we assure you that your laminates will continue to look amazing, every day, under normal, daily kitchen wear-and-tear circumstances. In fact, we're so sure of it, our laminate cabinets come with a lifetime warranty from peeling, blistering and cracking when they are cared for as per the manufacturer's instructions. Any product is only as good as the materials its made from. Cheap laminate cabinets are made using particle board cores and low-quality resins and veneer materials. The result is a cabinet that can peel or bubble if it is exposed to too much heat. Thus, older and low-end versions of laminate cabinets have had problems around the stove top. Our products, however, are made from furniture-grade wood core and top-of-the-line laminate materials. Hence, our lifetime warranty. While wood cabinets are gorgeous, they are also prone to their own fair share of weaknesses. They don't like moisture - including atmospheric humidity, let alone steam from the tea kettle. They can also dry out and/or warp if exposed to consistent heat without proper maintenance. Thus, our homeowners have found that wood-finished laminate cabinets give them all the beauty of wood without the risks of damage and without any of the maintenance. Laminate cabinets require very little TLC. Unlike their solid wood counterparts, laminate finishes can be cleaned with an all-purpose cleaner and a rag. And, if they get a hearty dose of marinara splatter or a spilled yogurt crusts up while you're at work all day - you can even use the scrubby-side of the sponge every once in a while without any fears. In the rare occasion that your laminate kitchen cabinets would need to be installed at a distance that would make them susceptible to available heat, we simply install a heat shield and voila! You can be worry free. 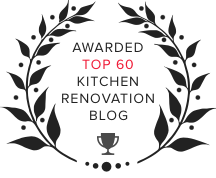 Have more questions about the unrivaled low-maintenance longevity and durability of laminate kitchen cabinets? Give us a call or visit a Kitchen Magic showroom and we'll address your concerns.